The skull helps protect the brain from injury. A skull fracture is a break in the cranial (skull) bone. It is often accompanied by a head injury, and depending on the severity of the injury, brain damage is possible. The brain can be injured by swelling (edema), bleeding (hemorrhage), and blood clots (subdural hematoma), all of which create pressure on the brain tissue. The most common causes of skull fractures are head trauma, falls, motor vehicle accidents, sports, and assault. Linear fractures are usually caused by blunt trauma over a large area of the skull. A skull fracture is a serious injury requiring emergency medical treatment, especially because of the possibility for brain injury. Treatment depends on the type and severity of the skull fracture. 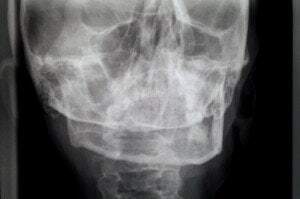 Minor fractures often require no treatment and will heal on their own; while serious skull fractures may require surgery especially if the skull is depressed or the skin cut. Criteria surgery includes depressed area is larger (≥ 8-10 mm), CSF (cerebrospinal fluid) leakage, scalp cut, and brain function problems. Doctors usually perform CT scans to diagnose skull fractures, which will show if there is any bleeding or swelling on the brain. Prognosis for recovery depends on the severity of the injury and whether the brain was injured causing neurologic damage. It is important that any head injury be monitored to ensure that no swelling (edema) or bleeding (hematoma) on the brain occurs, which can cause delayed brain injury. However, many skull fractures have no neurologic effects. If your loved one has sustained a serious head injury or fracture to the skull in an Illinois car accident, motorcycle collision, you obviously are concerned about their immediate well being and future care needs. Out team of attorneys at Rosenfeld Injury Lawyers LLC understands the significance of these cases for both the individual as well as their families. We have experience representing people with complex injuries and are committed to securing the maximum possible recovery for them. If you are looking for a Chicago law firm with a history of providing top notch results for head injury cases give our office a call for a free case evaluation and attorney meeting. Our lawyers will set up a time for you to come to our office or meet with you in the comfort of your home or medical facility. What are the most common symptoms of a brain injury? Do I have grounds to file a brain injury lawsuit? Are there any laws to protect people with brain injuries? How long do I have to file a brain injury lawsuit?